Inhabits woodland, scrub; October through to April. 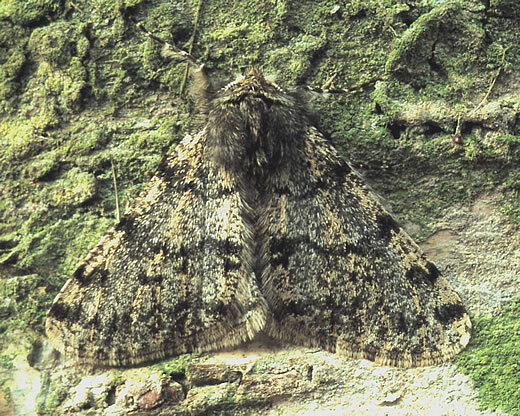 This long-lived moth does not truly hibernate. It is active on mild nights throughout the winter, though more often seen at fermenting berries or sugar than at light. Found in woodland and parkland; January into March. This large but rather muted geometrid is always the first moth to emerge in the new year. With antifreeze for blood, it can survive sharp frosts unharmed. 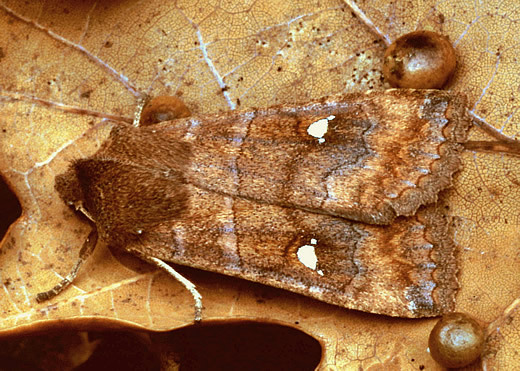 Males often appear at house lights on mild, damp nights, but the wingless female is rarely seen. Oak woodland; February and March. This moth is apparently scarce and local in our area, but possibly overlooked as little field work takes place so early in the year. Males are much smaller and more obviously grey and white than others in this group, and again the female is virtually wingless. Moorland, marshes and other open country with bedstraw; February into April. 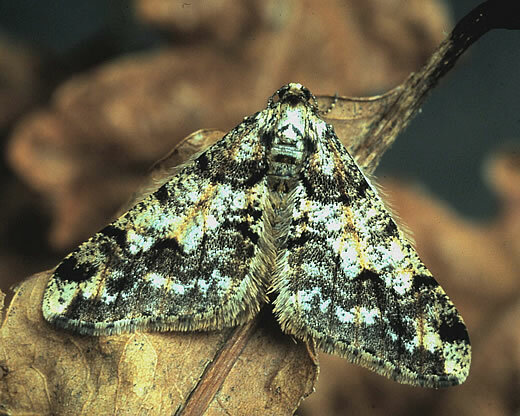 This is the earliest of the carpet subfamily to emerge in spring, sometimes while snow still lies upon the ground. It is also one of the drabbest. 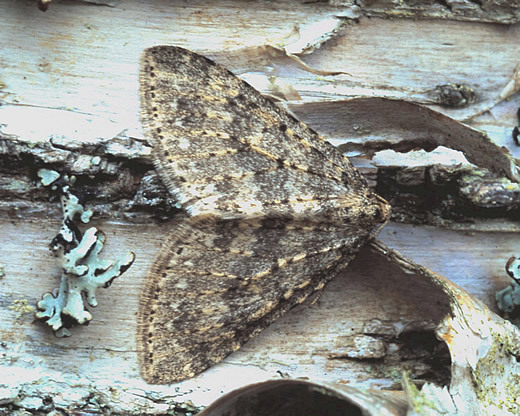 However, its European distribution is far more restricted than with most of our moths, so perhaps we should value it more. The female's wings are much smaller than the male's, suggesting that she may be partway down the evolutionary road to flightlessness. Woodland, scrub, heather moorland; February into April. 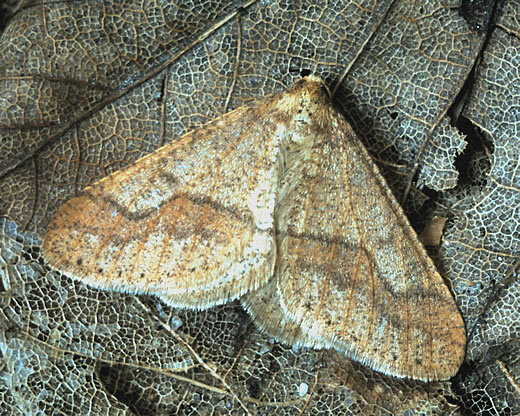 This is a close relative of Scarce Umber, but drab in colour since fallen leaves are no longer orange. As with most late-autumn to early spring species, the female is flightless and the male is relatively inactive, most easily found on the leafless twigs of trees and bushes by torchlight after dark.